Deliciously Savvy did not receive any form of compensation for this giveaway other than receiving this above items in order to facilitate my review. Once winner is selected via the Giveaway Tools process, the product will be shipped. Winner has 48 hours to respond or another winner will be chosen. No other blog associated with this giveaway is responsible for the product shipment. 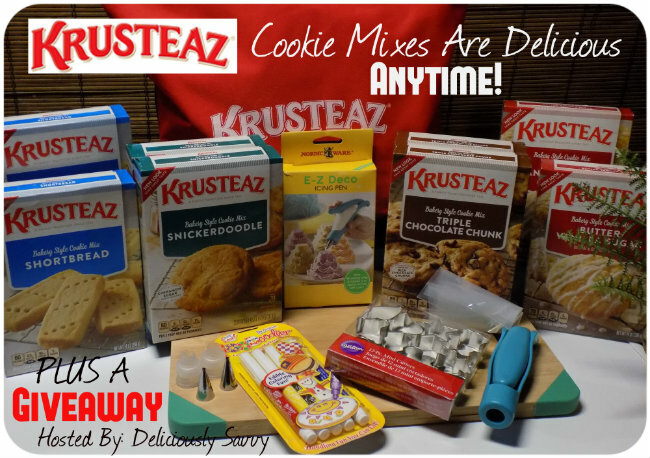 Krusteaz will be providing the prizes above to the winner. Thank You for stopping by! Any Questions or Concerns email me at mcushing7 (at) hotmail (dot) com. MBP is simply sharing and helping to promote this awesome giveaway!